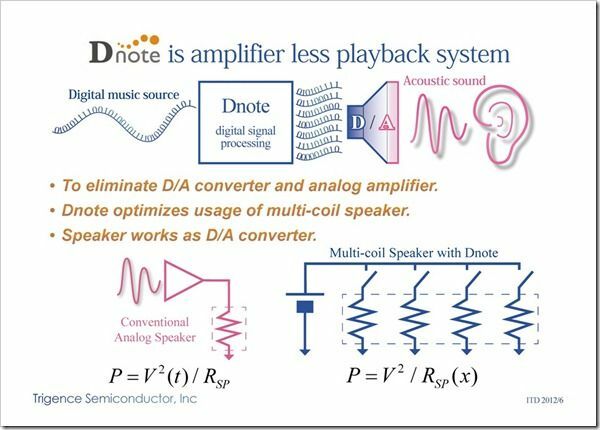 Tag Archive | "digital speaker"
Trigence Semiconductor has just received funding through the $300m Intel Capital Ultrabook fund for their DNote Audio technology. 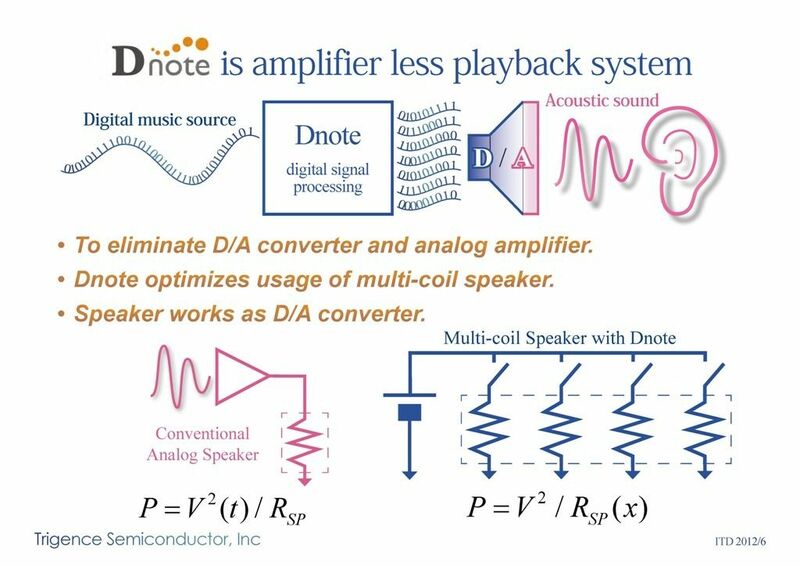 Dnote is a technology that drives analogue loudspeakers found in consumer electronics via digital signals to lower power requirements. Actually, looking at it, it seems that Trigence have developed a new speaker coil technology. Trigence, a Japansese company, will take an undisclosed sum from Intel Capital to further develop DNote Audio.